The Internet of Things is changing the face of business, according to Forbes. Jason Hope joins Forbes writer Bernard Marr to discuss some of these changes. In a recent article, Forbes takes on the concept of the way the Internet of Things is going to change all businesses in the very new future. Jason Hope agrees with tech writer Bernard Marr, who says that within the next three to five years, major changes are coming to business due to connected devices. According to the August 17 article entitled "3 Ways the Internet of Things Will Change Every Business," by Bernard Marr, the rise in connected devices is going to change the business landscape in three ways. First, it will allow for the creation of smarter products. Second, it will help businesses make smarter operating decisions. Third, it will bring a lasting change to the overall business model. First, the article discusses how businesses will begin making more connected products, and making those products smarter. As the market shows what connectivity is wanted, and which is best left alone, consumers can expect to see more devices hit the market. It also talks about how operating decisions will be made with more information. "Sensors," said Jason Hope, "are going to radically change the business landscape. Businesses will be able to collect specific feedback about questions and information they have, and that feedback is helping them make more informed decisions that will encourage greater success in the future. I see this as being one of the biggest changes the Internet of Things is bringing to business." With better products and more information, businesses may begin to change their business models to respond. That new business model is going to include connectivity and the data collected from connected devices. Businesses are going to be able to think much bigger as they have no only products, but also data, to offer to customers, clients and partners. "The Internet of Things is already changing the face of business," says Hope. "Those changes are only going to become more pronounced as the market develops." 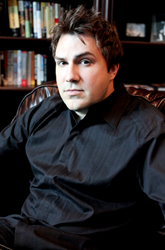 Jason Hope is a skilled entrepreneur who has built a successful business in the tech field. He uses his resources and expertise to support research and development in a number of fields, helping promote innovations that improve the future of humanity. Learn more about his work and research at http://www.jasonhope.com.